For this weeks #MonsterMonday, I'm going to hit on a slightly different Kaiju of the Silver Age. 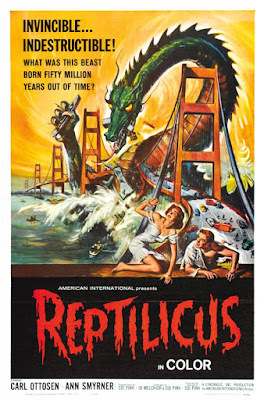 This isn't a monster that inhabited a mainstream superhero universe, but one that held down its own title for a while during the silver '60s: Reptisaurus! 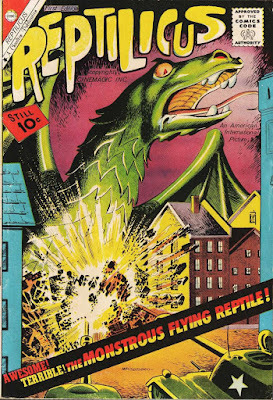 In 1961, Charlton published two issues of a comic based on the Danish/American kaiju film Reptilicus (there are apparently versions of the film in both Danish and English). 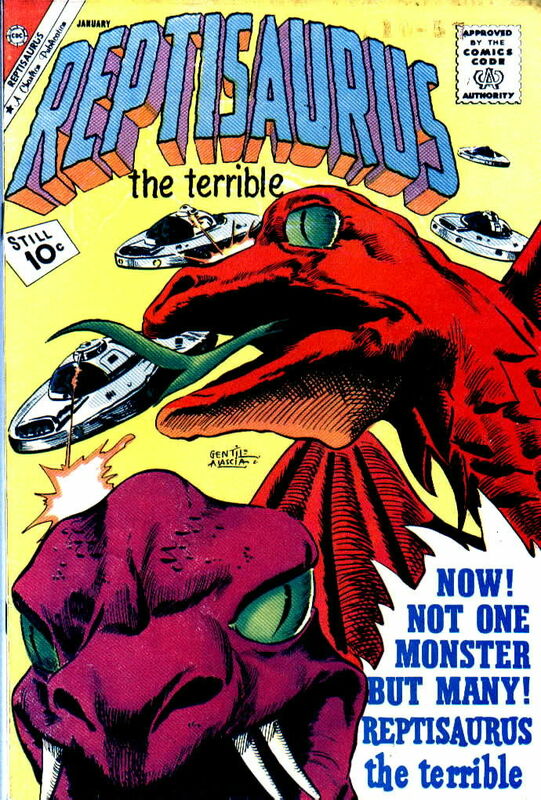 After losing the license, they turned him red and continued the series as Reptisaurus, where it lasted for another six issues and a special edition. He even made an appearance in Charlton's comic series featuring the monster Gorgo (whose mother appeared here on a previous Monster Monday). Luckily, Reptisaurus seems to be a bit more helpful than his inspiration Reptilicus. Instead of introducing himself by destroying Copenhagen, he helps to fight off an alien invasion. The perspectives I've seen just make it difficult to judge. 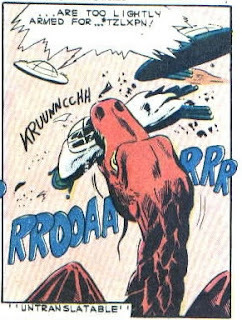 Could be a small plane and a small blue whale, after all. 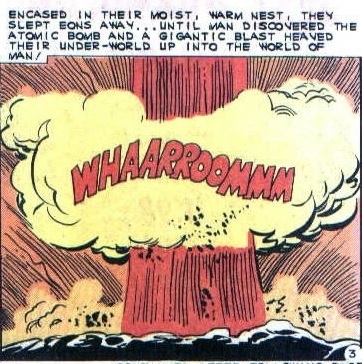 If you're interested in reading more about the history of this beast, there's a very good writeup to be found at this link. Thanks for checking this guy out! 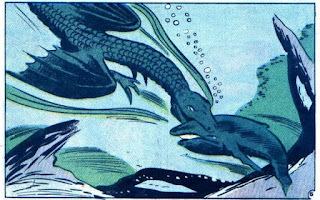 I'm really enjoying covering these four-color monsters and hope you'll stop by again next week for another Kaiju of the Silver Age!